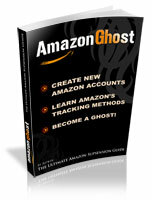 Iam selling in Amazon USA, can i create selling account in Amazon EU with same details or need new identity? Call up amazon and ask them how you can use your account to sell in EU as well. There's a procedure to it, I don't remember how because their website is bah when it comes to user friendliness. So just talk to them and they'll guide you step by step. If you have a professional USA selling account the option to sell in all the European markets is there. Yea, but it can be a little confusing specially when he has inventory at FBA. Calling them to help him set up properly is easier than just going around the website aimlessly and frustrated.